PhoneGap/Cordova is one of the most popular frameworks among developers building cross-platform mobile apps. In spite of being based on the web-standard technologies including HTML, Java and CSS, PhoneGap provides great support in building apps with native features. Looking at the rising trend of cross-platform mobile apps, Rapidsoft added PhoneGap based mobile application development expertise to its service-range. So far at Rapidsoft Technologies, hundreds of PhoneGap based Cross Platform Mobile Application Development projects have taken place. Also using PhoneGap framework, developers at Rapidsoft Technologies are able to build cross-platform apps with native look and feel. Apps developed at Rapidsoft strictly adhere to the Terms & Conditions of any app store. The PhoneGap based apps developed by our developers use almost all mobile-device features like Accelerometer, Camera, Compass, Contacts File, Geo-location, Media, Network, Notification (Alert, Sound and Vibration) and Storage. The framework comes with Xamarin.Forms which let developers use portable control subsets are mapped to native control of iOS, Android and Windows Phone. Also, Xamarin has better security feature to storing data, particular enterprise data. PhoneGap as most of us know is an amazing cross platform framework, that lets the developers to develop applications that run smoothly on multiple mobile platforms like iOS, Android, Windows and more. Here in this article, we will examine the wonderful features of PhoneGap framework and the merits and demerits of using it. PhoneGap has a robust backend system that tremendously speeds up the development process and reduces developer’s efforts. The beginner’s guide also helps in speeding the process further. With the PhoneGap framework, you get the best for free. The PhoneGap community compiles new codes and modules which are available for free because of its Open Source License. It’s a win win for all the stakeholders. The developers gain as they have to spend less effort and get develop an app which will work across all mobile platforms. The businesses gain as the app is prepared and ready to hit the market in minimalistic time. One of the most amazing things about this framework is that it taps into the device’s hardware such as the camera, geo location, accelerometer and few others. With this, the apps developed on PhoneGap can easily make use of the properties of the native resources of the device, without compromising on the User Experience. Like everything else, PhoneGap too has some areas of improvement. Now that we have looked at its advantages, we can move ahead to look at its disadvantages. It does not support all the functionalities. PhoneGap can be inefficient sometimes, while working with native apps. 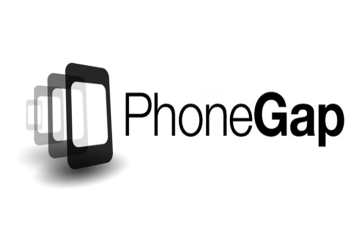 PhoneGap framework lets the developers to develop the apps only for once. Thereafter it charges some monthly fees.